Frank Sturm considers himself an avid New England adventurer and has 15 years of experience in the lawn care industry. Much like other towns in New England, the town of Westport, MA and its Westport River is steeped in history. At one time, several large mills lined the Westport River from Lake Noquochoke. 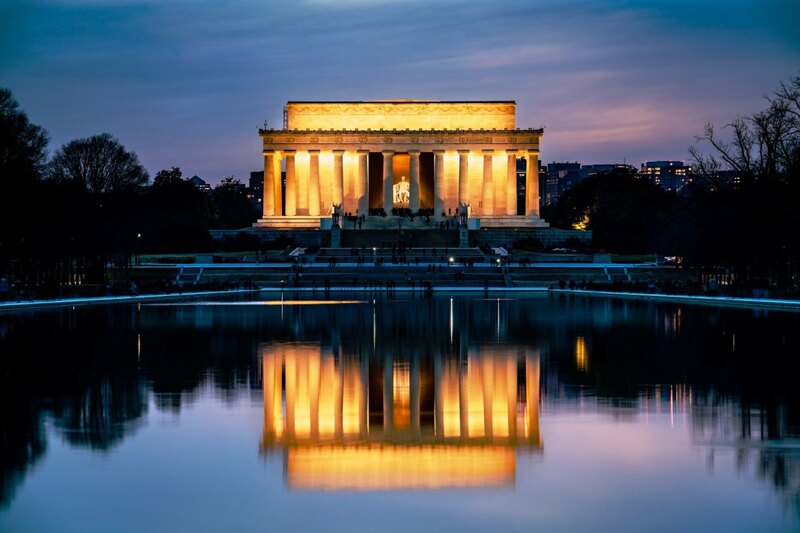 It's been home to generations of Americans, as well as Native Americans. The town rests between the more active communities of Dartmouth and Fall River and is home to not only kayaking and boating, but a winery (Westport River Winery) and apple farms, to name a few. It is a somewhat lengthy river to kayak, but definitely doable. 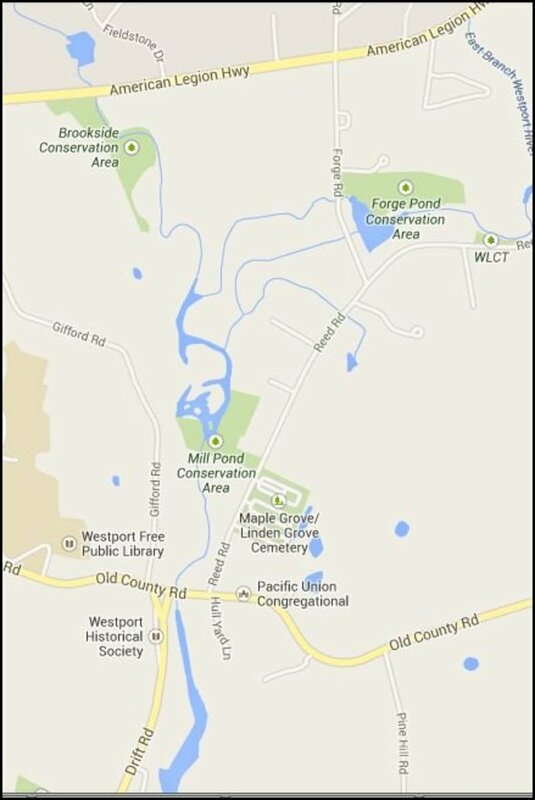 Here you will find maps and descriptions of each section of the Westport River. At the bottom of the page I also included links to kayaking companies located near the waterway. The west and east branches converge near Westport Point. The Westport River is split into the west and east branch. 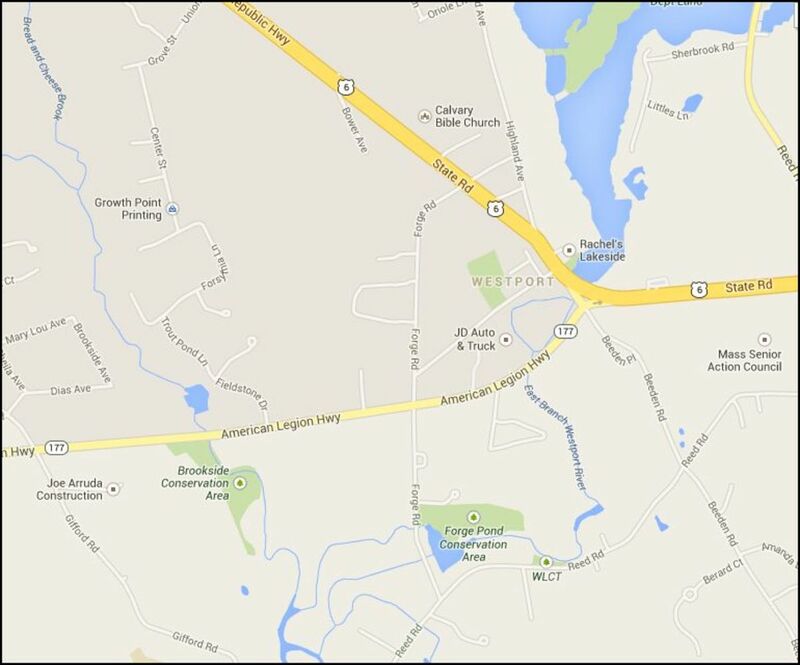 The smaller, west branch is 7 miles long and rises near the village of Adamsville, Rhode Island. It continues to flow in a southeastward direction before it converges with Westport Harbor West of Westport Point. This is a picture of most of the Westport River. You can see the smaller West Branch near the bottom left-hand corner. 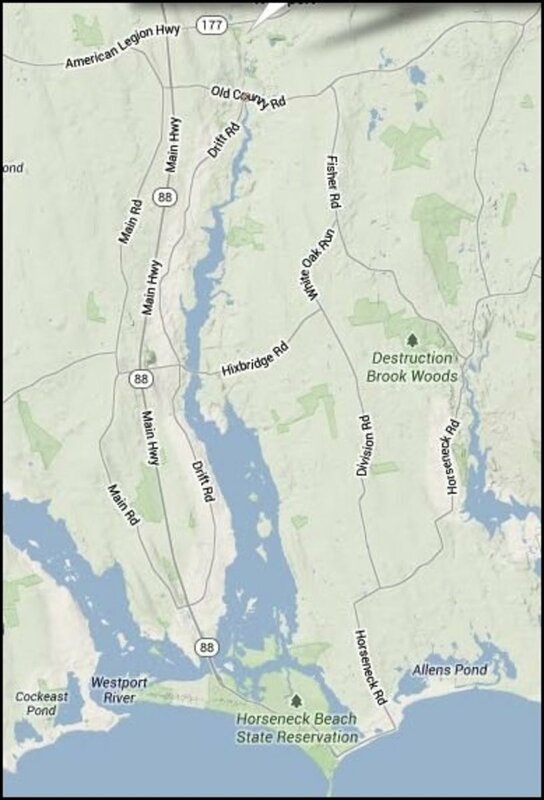 The larger, east branch is about 11 miles long and begins from the town line of Westport and Dartmouth. 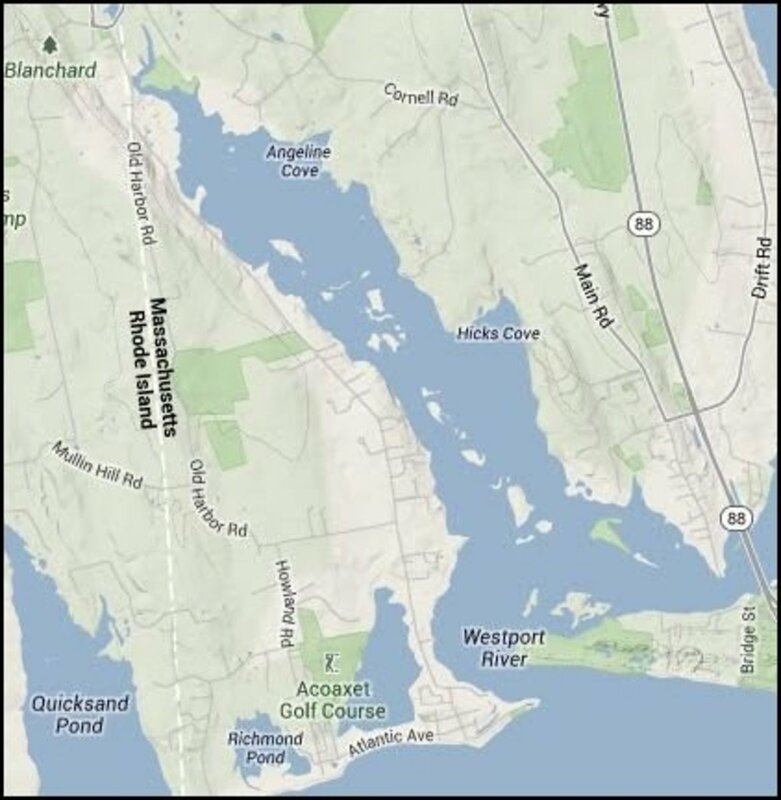 If you looked on a map, it may seem like the Westport River is a large body of water that barrels toward Buzzards Bay, but the river actually starts much farther north. 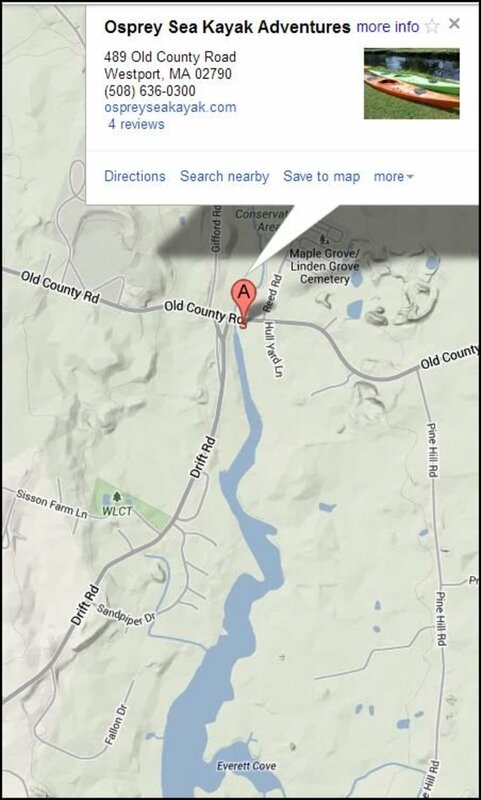 It is first fed by Noquchoke Lake, home of the Fall River Water Dept and sandwiched in between Rt 6 and Rt 195. This lake connects to the smaller east branch of the Westport River, which then converges with the Bread and Cheese Brook. The east branch winds south to the Head of Westport Village near Old Country Road and Osprey Sea Kayak. You can place your kayak in the river across from Osprey. and continues south past Everett Cove, under Hixbridge Road and then to Cadman’s Cove where it widens to about ½ mile. 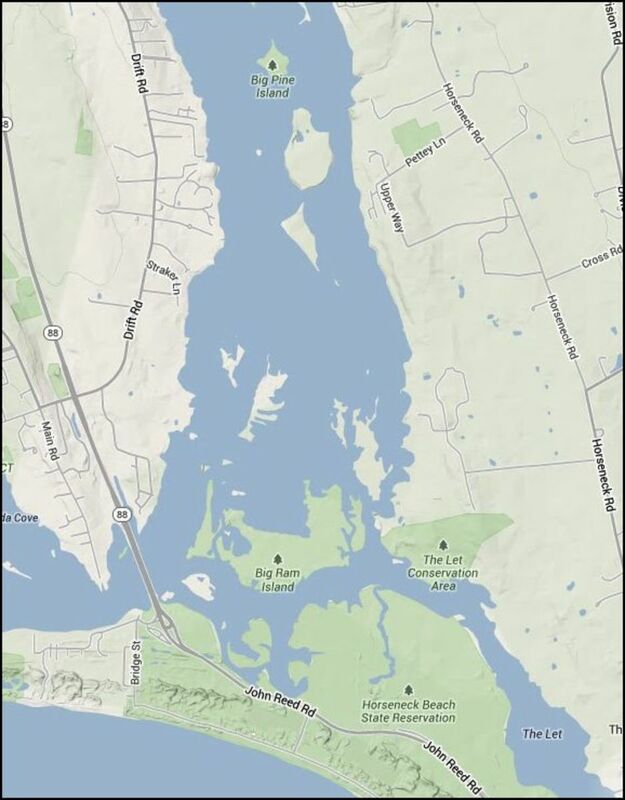 If you plan to kayak the length of the east branch, you’ll pass Upper Spectacle and then Big Pine Island before you reach Big and Little Ram Island and the Westport Channel at Westport Point. 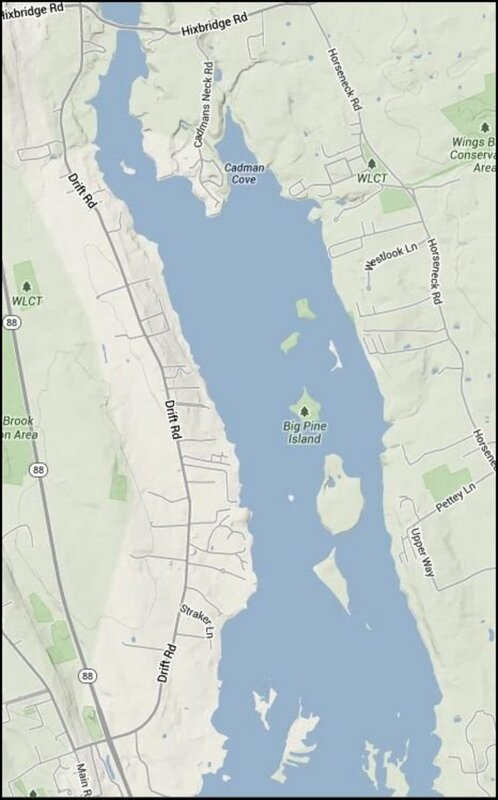 If you continue to kayak south just past Big Ram Island you will reach The Let. This inlet touches East Beach Road, which blocks further access into Buzzards Bay. Yet, if you turn right at Big Ram Island, you will pass Little Ram Island and flow under the Normand Edward Fontaine Bridge which connects John Reed Road and Rt 88. Once under the bridge, if you look to your right, you should notice West Beach and Horseneck Beach State Reservation. The Westport River continues around West Beach and The Knubble into Buzzards Bay. The river is fed by Noguchoke Lake and Bread and Cheese Brook. The East Branch flows under Rt 177. Once under Rt. 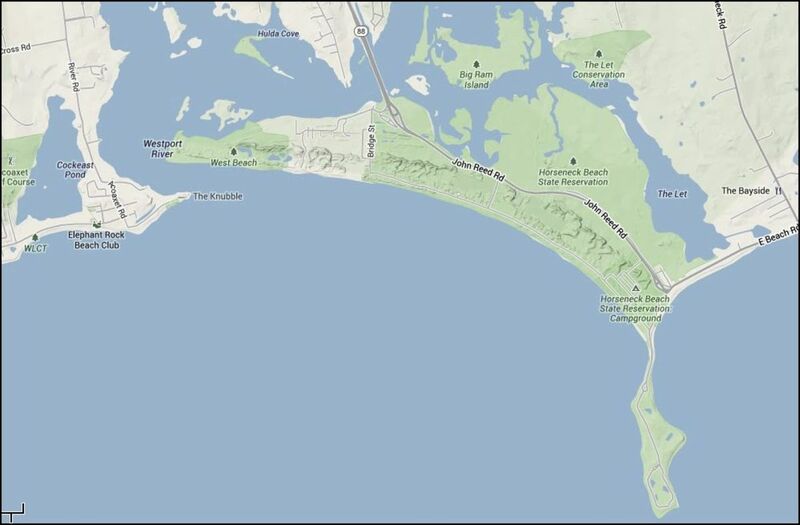 88's bridge, you'll be that much closer to Buzzard's Bay and the open ocean, if you dare. Westport is home to a variety of wildlife. 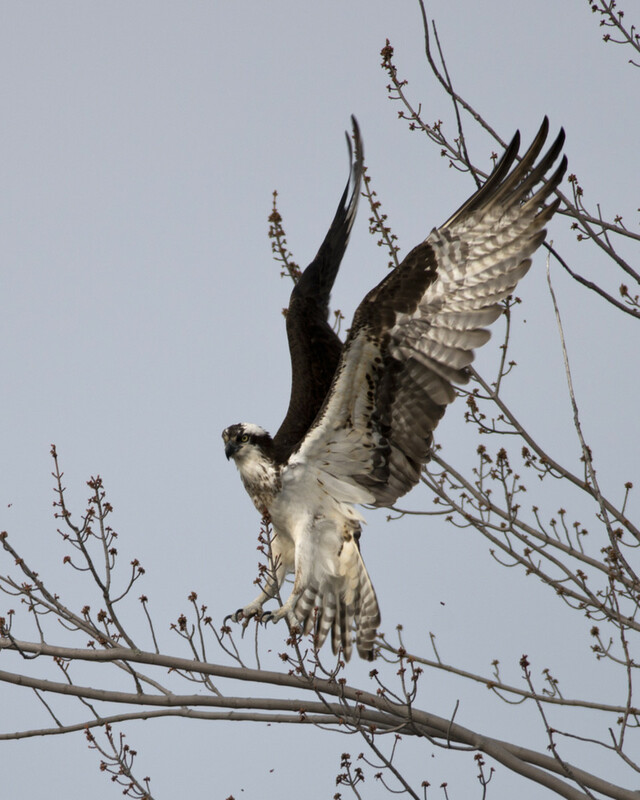 If you are lucky, you’ll spot Osprey resting in the trees or seals playing in the over 1,000 acres of salt marsh vegetation. Kayakers have even spotted turkeys, deer and foxes wandering the shoreline. Every year, 3,000 shellfish beds are harvested for commercial and recreational uses. The Westport River is sprawling with wildlife. You can either kayak yourself or go with a professional kayaking company. If you kayak by yourself, ensure that you have the proper training (a blog post for another time, perhaps), understand the river’s geography and have all the proper equipment for a day of paddling. Many people choose to raft with a company. Some reasons people use a company is because they lack experience, want to become more familiar with an area or hope to connect with new people. If you go kayaking with a company, ALWAYS make sure they are ACA certified and own the proper insurances and licensing. Yes, I've heard of companies that don't. One quality kayaking company that is fully insured and licensed is called Osprey Sea Kayak. they are located directly on the Westport River. You can’t get much better than that! I also listed another company that is located a little further away. With companies, usually groups stay together and don't drift too far. After you raft for awhile, stop and enjoy the scenery. Why sleep at night? Go kayaking instead. I’ve kayaked with two companies in Southeastern Massachusetts. One company was Osprey Sea Kayak and the other was some company that I believe went out of business. So, yeah, let’s focus our efforts on Osprey. 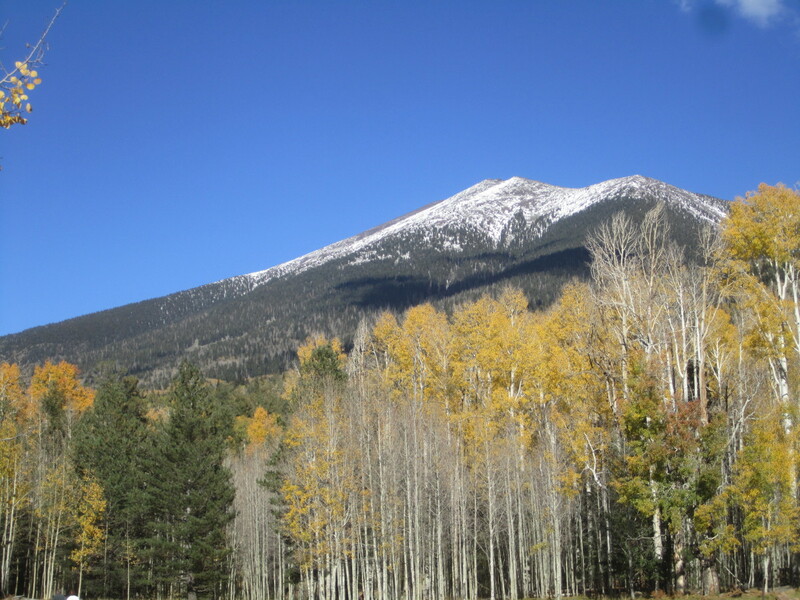 A fully insured and certified company, Osprey offers guided trips for individuals and groups small to large. When I booked my trip through Osprey, I told them I had 30 people in my group and they were happy to customize the trip. We split the group into groups of 15 and we kayaked Saturday and Sunday. if I asked, I am confident they would have even reduced that group size. So what is a typical trip like with Osprey Sea Kayak? 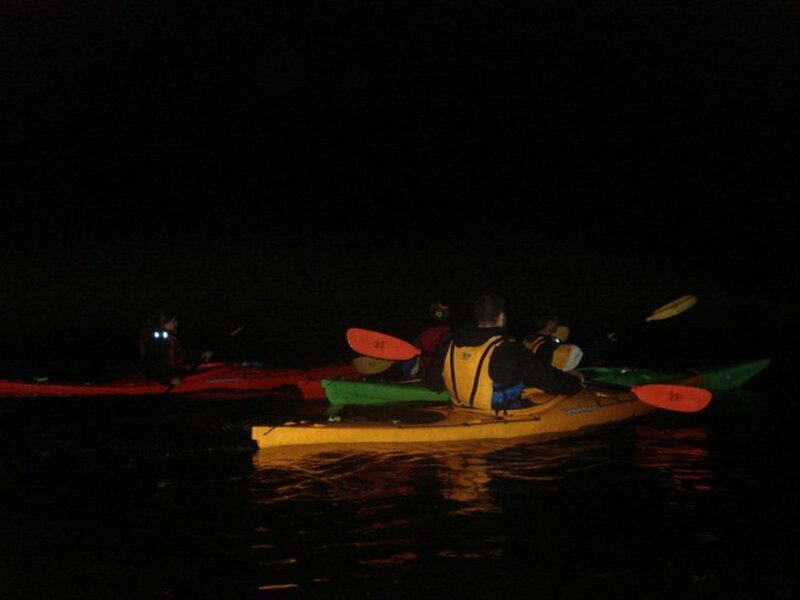 If you want to kayak and relax, kayak at night. Osprey will guide y through the gentle waters of the Westport River as it glimmers under the peaceful moon. If you'd rather catch up on sleep, kayak during the day and try to spot Osprey lurking in the trees, seals playing in the harbor or deer grazing along the shores. You can snack on the riverbanks. 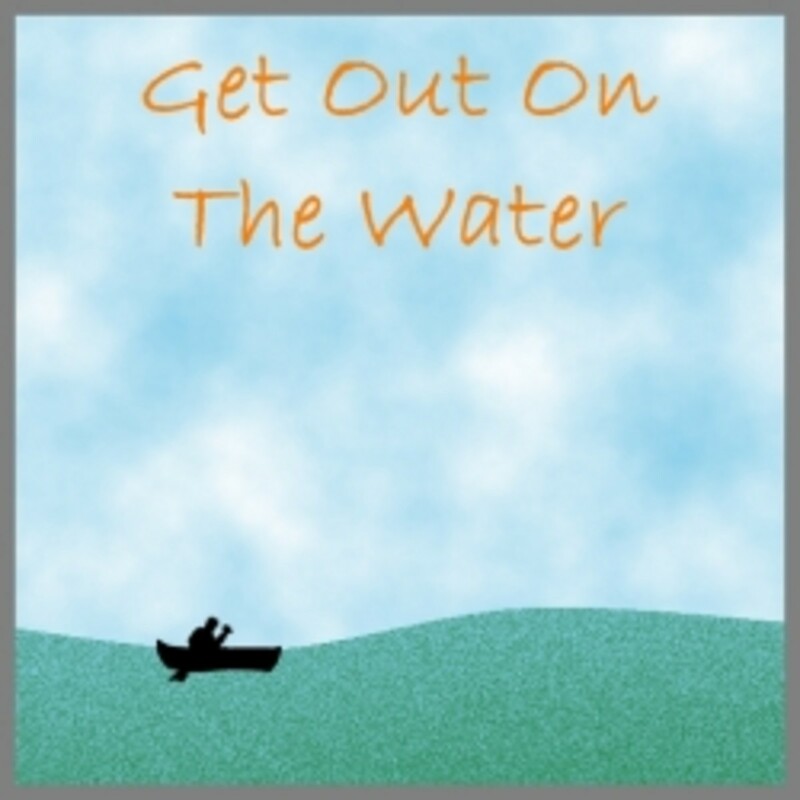 If your up for a challenge, take on the rock gardens or open water of Buzzards Bay. Some even test their balance and get a core work out on their stand-up kayaks. Finally, ever dreamed of surfing, but don’t want to spend the money to take a Hawaii vacation? You can actually surf right in your back yard. Osprey Sea Kayak will teach you how to surf the waves in a kayak. 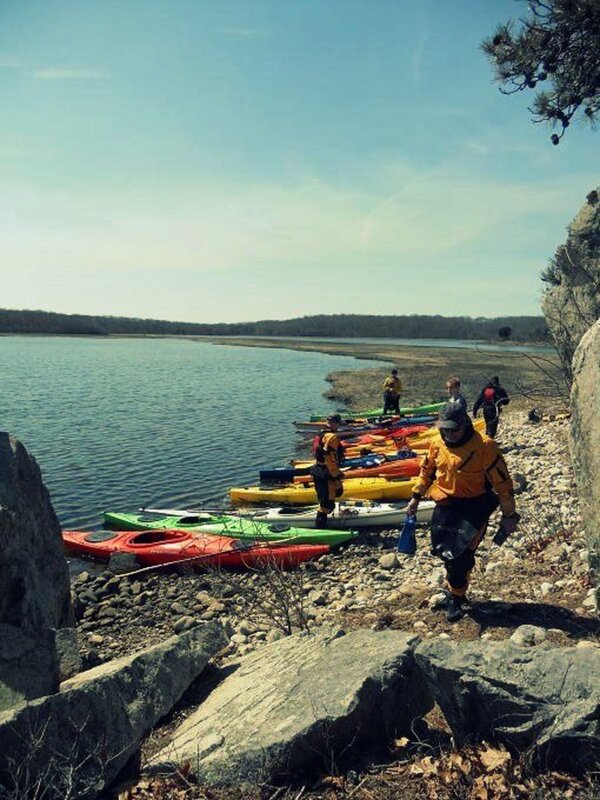 Some folks want to take their passion to kayak to the next level and become ACA certified. Sign up for their Instructor Development Workshop and exam, ACA trip leader training or a surf instructor certification. I have never kayaked with this company, so I am not sure if they kayak the Westport River. (I am going to assume they do because it’s a pretty major waterway in Southeastern Massachusetts). The Kayake Centre has a list of tours on their web site. Some include a Newport Coastal or Jamestown Coastal Tour. They use double kayaks for these trips. If you don’t enjoy double kayaks (like myself), I encourage you to try their Wickford Harbor Tour, which calmly introduces you to sea kayaking while you take in the picturesque Wickford Village. The Kayak Centre has offered paddling lessons since 1995. They have programs designed specifically for women, as well as classes to teach kayak rolling and basic to advance kayaking techniques. 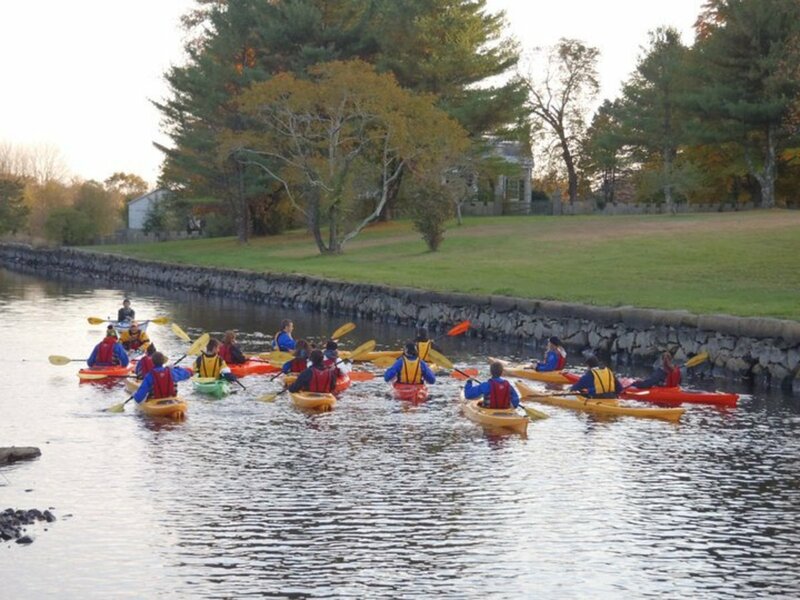 The Kayak Centre has two locations: Their flagship store and paddling school is located in Wickford, RI shop and open year around, seven days a week. Their shop in Charlestown, RI is seasonal and provides kayak sales, rentals, group events and tours. 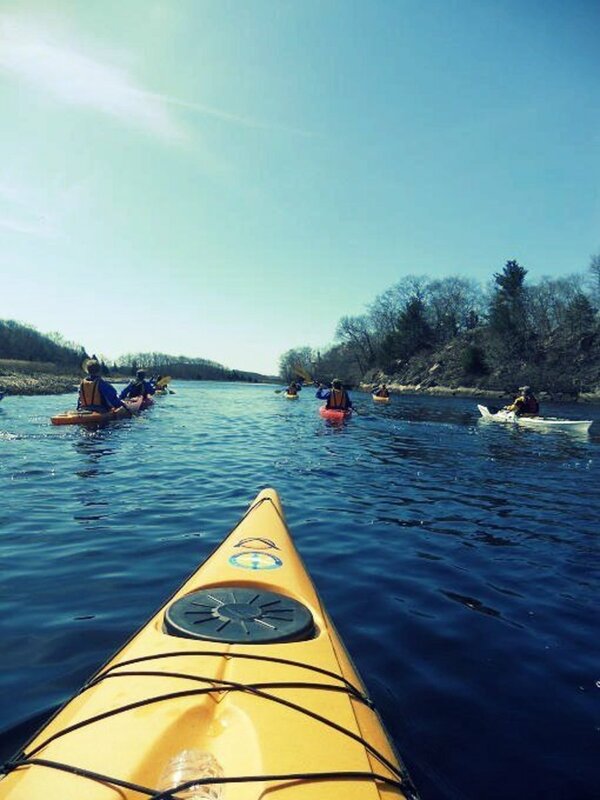 What do You Think of Kayaking the Westport River?